The Rockies play the San Francisco Giants at Coors Field at 6:10 p.m., followed by a huge fireworks display. Tickets start at $21. Clement Park, 7306 W. Bowles Ave.
Food, beer & wine garden, exhibits, bounces houses, FREE concert at 7 p.m. Fireworks at 9:30 p.m. The park is at 58th and Oak St.
Arvada’s Independence Day Celebration returns to its roots, focusing on the core of the holiday–fireworks! Gates at the Stengler Sports Complex open to vehicles at 7 p.m. Fireworks start at 9 p.m. No personal fireworks, alcohol or pets allowed. You can bring propane grills for cooking. Aurora Municipal Center Great Lawn, 15151 E. Alameda Pkwy. FREE activities go from 6 p.m. to 10 p.m. Live music, delicious food and fireworks at 9:30 p.m. Parking permitted at Town Center at Aurora, Community College of Aurora and Aurora City Place. Or take the RTD R-Line to Aurora Metro Station. Music starts at 1 p.m. ending just in time to catch Ralphie’s Independence Day Blast at Folsom Field. Activities and an extended beer garden on the 1300 Block of Pearl Street and the Boulder County Courthouse Lawn. Parking on the holiday is FREE in City of Boulder Parking Garages. Children’s carnival ($8 unlimited play on inflatables, and $3 pony rides), concessions; 5:45 p.m. bike parade (open to all ages); 6 p.m. 17th Avenue All Stars perform; 7:15 p.m. FREE concert by the That Eighties Band, and 9:30 p.m. fireworks. Limited parking available at the Broomfield County Commons. Additional parking will be located at Legacy High School with shuttles provided from 5 p.m. to 11 p.m., 303-464-5530. No formal event this year, lasting about 15 minutes, shot off from the top of the Santa Fe Quarry butte above Red Hawk Golf Course, (just south of The Meadows on the west side of town). This high-flying show can be seen from almost anywhere in Castle Rock. The Rockies play the San Francisco Giants at 6:10 p.m. at Coors Field, followed by a huge fireworks display. Tickets start at $21. Includes obstacle courses, trampoline, ropes course, human foosball, laser tag arena, mechanical bull, live music and more. Largest public fireworks show in Colorado at 9:30 p.m. Colorado Rapids vs. Seattle Sounders at 7 p.m. Tickets start at $35. Parking lots open at 4 p.m. Limited parking so RTD bus and rail system is encouraged. Route 62 bus stop is at the stadium’s front door. The Outlaws vs. the Boston Cannons at 7 p.m. One of the coolest close-proximity extravaganzas you’ll ever see. Fireworks within the bowl at Mile High Stadium feature pyrotechnics paired with a show on the 220-foot wide Thundervision screen. Tickets start at $20 (including fees). FREE event (small fee for some activities and attractions) includes face painting, bungee trampoline, bounce castle and live entertainment. Dragondeer performs at 7 p.m. Fireworks at 9:30 p.m.Also Pirates Cove, Miniature Train and Petting Farm open at 10 a.m. in Belleview Park. Both parks: Belleview and Cornerstone are located near the intersection of W. Belleview and S. Windermere). Includes more than 100 vehicles on display in the “Steam-to-Electric” Coolest Car Show from 9 a.m. to 3 p.m. at the Estes Park Events Complex. (Admission $5, $2.50 for kids.) Estes Village Band gives a FREE concert at 7 p.m. at Performance Park Amphitheater. Musical performances throughout the day. Bounce house and kids activities from 11 a.m. to 3 p.m. with food & drink available for purchase. British Car Shine & Show from 10 a.m. to 2 p.m. The Burroughs headline from 6 p.m. to 7:30 p.m. Admission: adults $10, teens 13 to 18 $5, kids under 12, active military and veterans are FREE. Parking is $5 at Buchanan Park and Rec Center and FREE at nearby lots. Morning FireKracker 5K and fun run for kids (entry fees apply), 7:30 a.m. Parade at 10 a.m. along Mountain Ave. Starting at 4:15 p.m. enjoy an evening of music, food vendors and more at City Park. 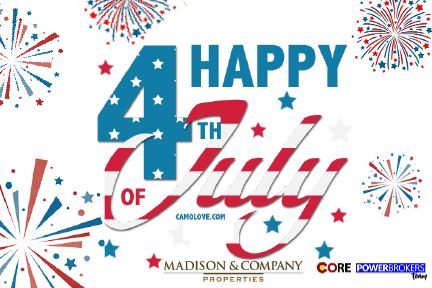 Fort Collins Symphony plays at 8:15 p.m. Fireworks show at 9:35 p.m. FREETransfort shuttle service to and from the park starting at 5:30 p.m. from the Downtown Transit Center (DTC) and the CSU Towers parking lot. One of the best small town parades around followed by the annual BBQ at City Park. After lunch, stroll through the many independently-owned shops in the historic commercial district located along and near 6th Street. Then, before dusk, head over to Georgetown Lake for a spectacular fireworks display at about 9 p.m.
FREE rides and face painting. Union Gray plays from noon to 3 p.m., followed by Kerry Pastine and the Crime Scene from 3:30 p.m. to 6 p.m. Something Underground takes the stage at 6:30 p.m. Food and beer concessions. Fireworks at 9:30 p.m.
New Sensations plays FREE concert at 6:15 p.m.; then headliners The Wash Park Band at 7:40 p.m. at Green Valley Golf Club followed by a fireworks display choreographed to popular music. Food and drink available for purchase. Free shuttle service from 10 locations from 6:15 p.m. to 10:30 p.m. Check here for schedule and details. Balloon twisters, face painters, games, inflatables, live music and fireworks at 9:30 p.m. Tickets: $1 each. Tickets are needed for rides and games, which cost between 1 – 7 tickets each. No refunds. Tickets may be exchanged for merchandise such as beer, pop, water, kiddie rides, etc. Tickets are not accepted by food vendors. Shuttles run from Highlands Ranch High School and Rock Canyon High School to and from the park. Lafayette parties at the lake from 4 to 10 p.m. with food, beer and wine concessions, face painting, balloon sculpting, bounce house and other kids’ activities (some for a fee). Chris Daniels & The Kings perform. Fireworks at dusk. No shuttle service provided. FREE fun, entertainment and games in Belleview and Cornerstone Parks starting at 3 p.m. Food concessions available. Dragondeer band performs at 7 p.m. Fireworks show launches from the baseball fields at Cornerstone Park at about 9:30 p.m. No alcohol or personal fireworks (including sparklers) allowed. Please leave pets at home. Fun activities, live entertainment, and the best view of the Longmont fireworks display. Carnival includes “Water Wars” water balloon launchers, trebuchet, dunk tank, food trucks, beer, TinkerMill MakeSale, games and more. Fireworks start at 9 p.m. (launched from the Boulder County Fairgrounds.) Bring your own chair. Entry is free, with a suggested donation of $5. FREE family-friendly event at the Coal Creek Golf Course from 6 p.m. to 10 p.m. Face painting, jumpy castles, games, live music by the Boulder Concert Band and food trucks on site. Fireworks at 9:30 p.m. No parking at the golf course so use the free shuttles from 6 p.m. to 11 p.m. from Louisville Recreation Center or Home Depot. FREE activities and displays all day starting at 10 a.m. with a flag raising ceremony. Plus enjoy games, train rides and tons of food booths. Loveland Concert Band takes to the Hammond Amphitheater stage at 8 p.m. A 30-minute fireworks show begins at 9:17 p.m. over Lake Loveland. Pancake breakfast, 7:30 to 10:30 a.m. at Niwot Market ($5 for adults and $3 for kids) for pancakes, sausages, eggs, green chiles, orange juice and coffee. At 9 a.m. concert by Niwot Semi-Marching Free Grange Band. Bicycle decorating starts at 8:30 a.m. and parade beginning at 11 a.m. with vintage cars, color guard, pets, decorated bikes, line dancers and citizens young and old. Parade runs from Cottonwood Square, across Niwot Road, along 2nd Avenue to Murray Street. Firehouse Museum open for tours before and after the parade. All day event including Pancake Breakfast, Pedals and Paws Patriot Parade, 4-mile run, car show, bounce houses, pedal boats, Duck Derby, bake sale, Beer Garden and concert by Last Men On Earth. Food & community booths open at noon. Fireworks display set to music at 9:30 p.m. over Webster Lake. E.B. Rains Jr. Memorial Park across from City Hall. University Park neighborhood celebrates the 4th of July at Observatory Park. Handmade non-motorized floats parade along Warren Street between Milwaukee and Fillmore starting promptly at 10 a.m. Festivities run until noon. Music by the VFW Band and a fire truck is on hand. Refreshments for sale. 23rd Ave. from Dexter St. to Krameria St. The northeast Denver tradition includes floats, bicycles, costumed characters, classic cars, a marching band and more. The parade ends about 3 p.m. at the Kearney Street Fair on the 2200 block of Kearney with food, live music, kids’ activities and more. Salisbury Park, 12010 Motsenbocker Rd. FREE bounce houses, slides, games, inflatables and climbing wall. (Small fee for face painting and tot train.) Mobile zip line is $5 per ride. Food and live music. Six Million Dollar Band performs at 6 p.m. Then fireworks at 9:30 p.m. set to patriotic music. Parking for 2,500 cars available at the park for $10, cash only. No alcohol, tents or canopies. Coolers and picnic items are okay. ATMs on site. Pancake breakfast ($5/adults, $3/children or family 4-pack for $12) at the Fountain Pavilion in Central Park, followed by an old-fashioned parade with bikes, trikes, wagons and scooters beginning at 10:30 a.m. at the Fountain Pavilion. Beer garden & food vendors, FREE Thornton Community Band performance at 5:15 p.m., presentation of colors, Kory Brunson Band at 7:30 p.m. Skydivers jump at 9:30 p.m. As soon as parachutists land, the fireworks start. Parking details here. Kids Activity Zone and food vendors open at 4 p.m. A FREE concert by FACE starts at 7 p.m., followed by fireworks at 9:15 p.m. Have fun in the Activity Zone playing on jumping castles, slides and more. Parking is VERY limited. Use the FREE shuttle bus from many locations in Westminster and Hyland Hills. Grills, personal fireworks and glass containers are not allowed at the event.